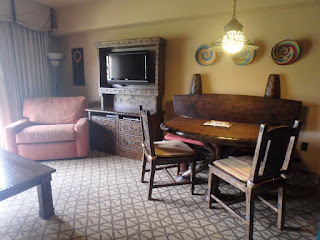 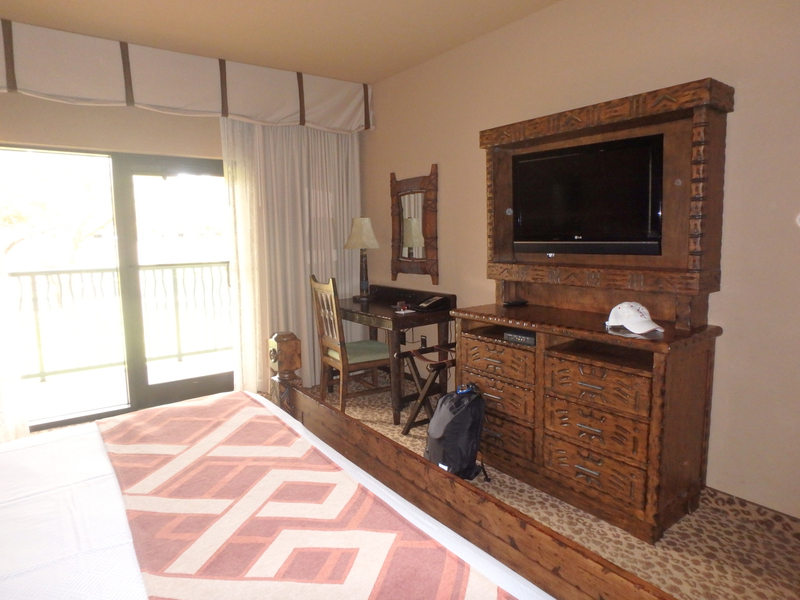 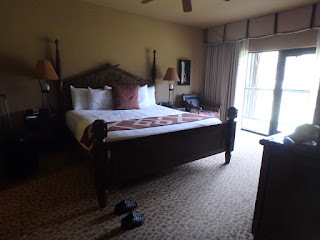 Since we usually aren't into planning our WDW trips that far in advance, we've only stayed at our home resort one other time, which was when we did Club Level for the WDW Marathon. 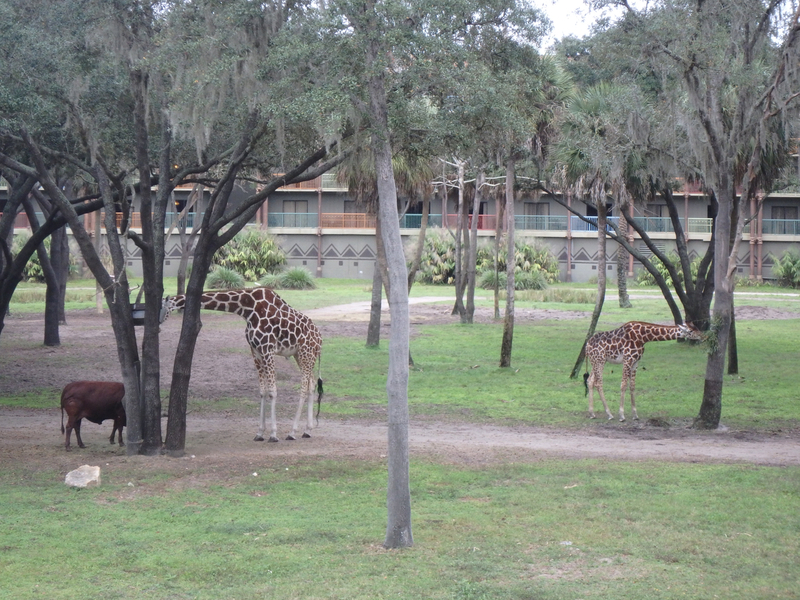 Even 11 months out, I couldn't get Club Level this time, but definitely not bad to have Animal Kingdom as our home resort and being able to easily get a Savannah View, which everyone loved and more than makes up for the drawbacks of this resort. 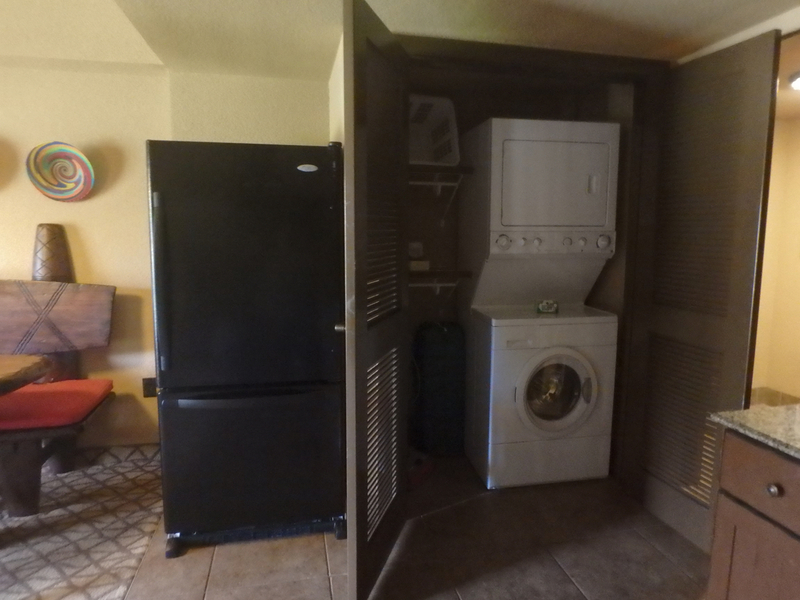 The 2-Bedroom Lock Off is a Studio and 1-Bedroom Villa combined. 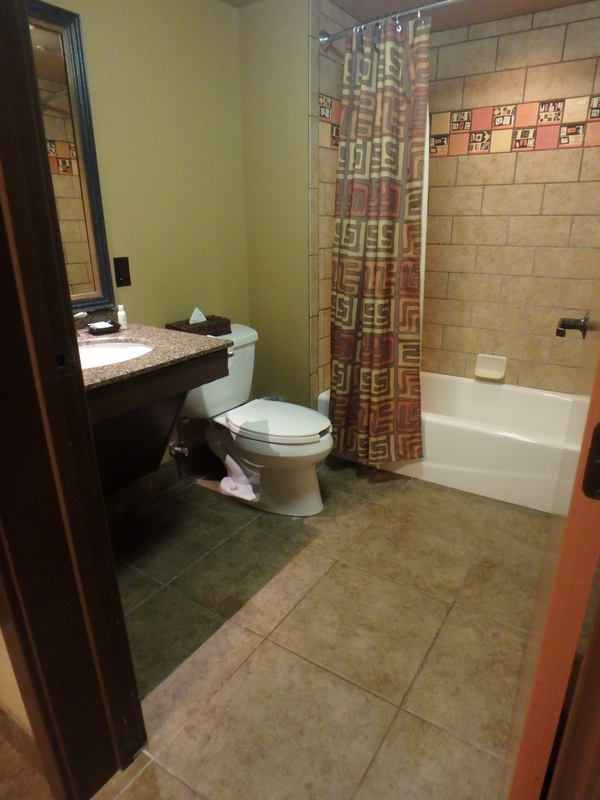 Both the Studio and the Master Bathroom of the 1-Bedroom part have accessible bathrooms. The Studio bathroom had a tub. 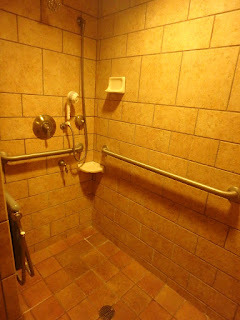 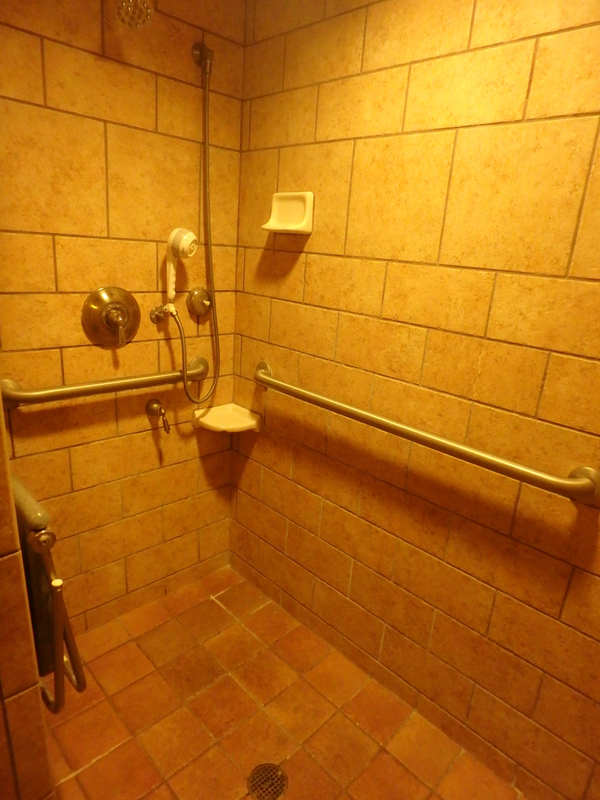 There was no shower chair, but usually you can request one if needed for this type of room. 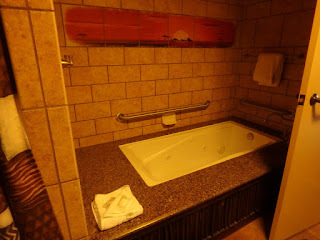 The Master bathroom had a roll in shower as well as a whirlpool tub. 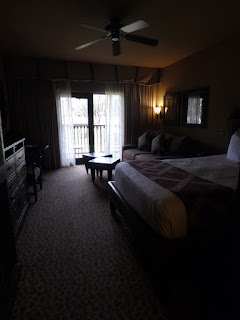 It was also very spacious, so Mik enjoyed just claiming this as his room to hang out in. Best of all, this roll in shower was properly designed and did not flood the bathroom, which was our one complaint when we stayed at the Jambo House. 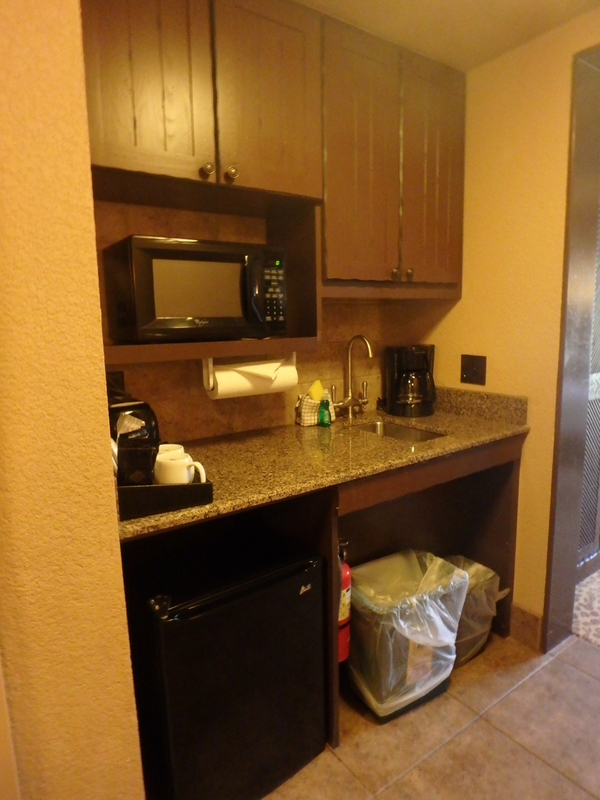 The 1-Bedroom also has a bathroom when you first enter that has a roll under sink, but no grab bars or extra space, so not exactly what we would consider accessible. 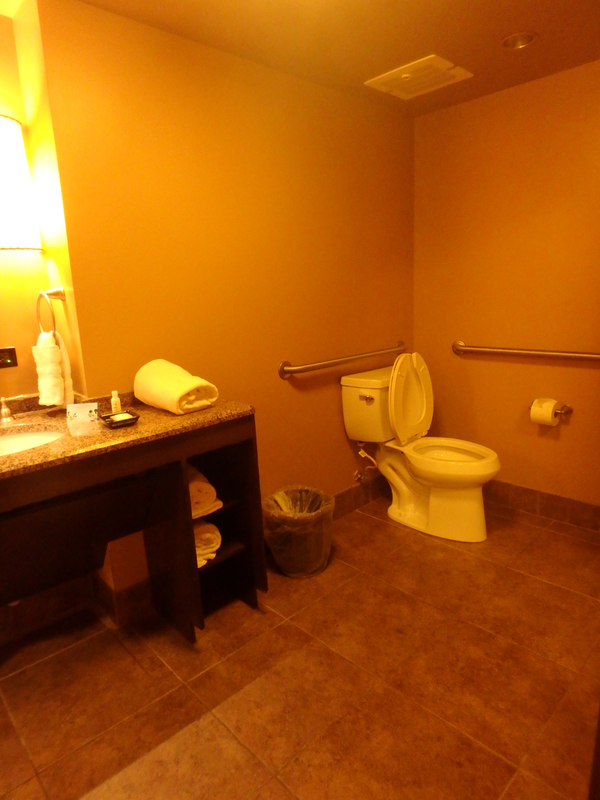 However, it is definitely convenient to have that extra bathroom. The kitchen area is decent accessibility wise, although it really is limited on the counter space. 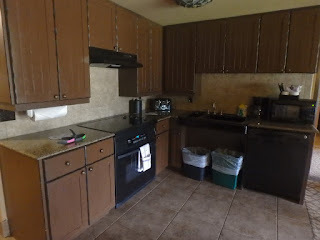 We didn't end up caring to cook at all this trip, though, so that wasn't a real issue. 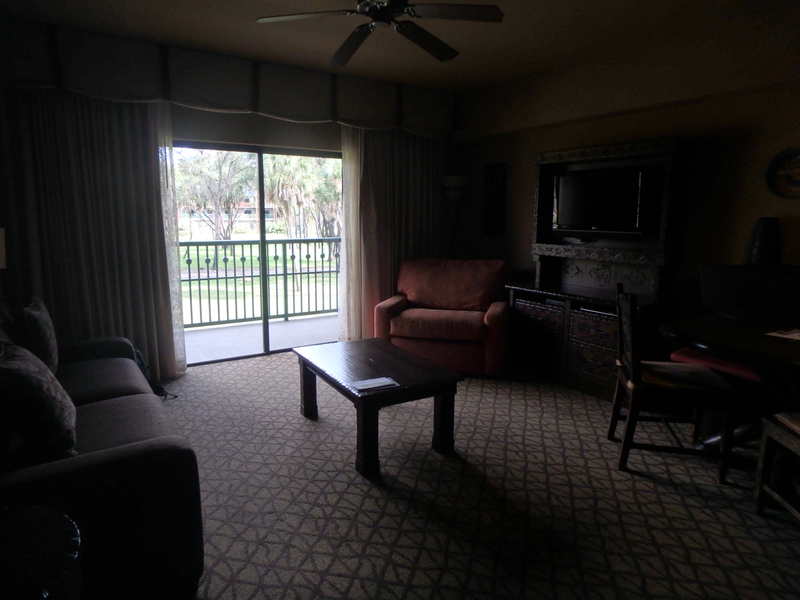 The living room area was a good area for us all to hang out in (and for Mom to take over and work while we were in the parks). 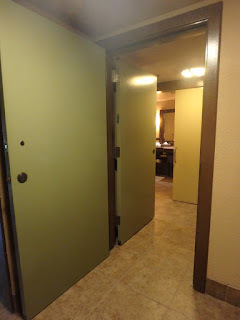 While for Mik the door entry style to the balcony is easier to use, the sliding door style with the lip does make more sense with the living room furniture setup. The Studio made a good bedroom for the 3 adults and 1-year-old that used it, although it is the same too crowded style that is why we have never done a studio with Mik again (It's the space that ends up in the accessible bathroom that makes an accessible studio too crowded to comfortably stay in for us). It also would've been crowded for them if it wasn't part of a 2-Bedroom Lock Off because the only reason it really worked was that they put the crib in front of the door to the room and we all just used the 1-Bedroom entrance. The Master Bedroom has a king sized bed and plenty of space to be comfortable accessibility wise. 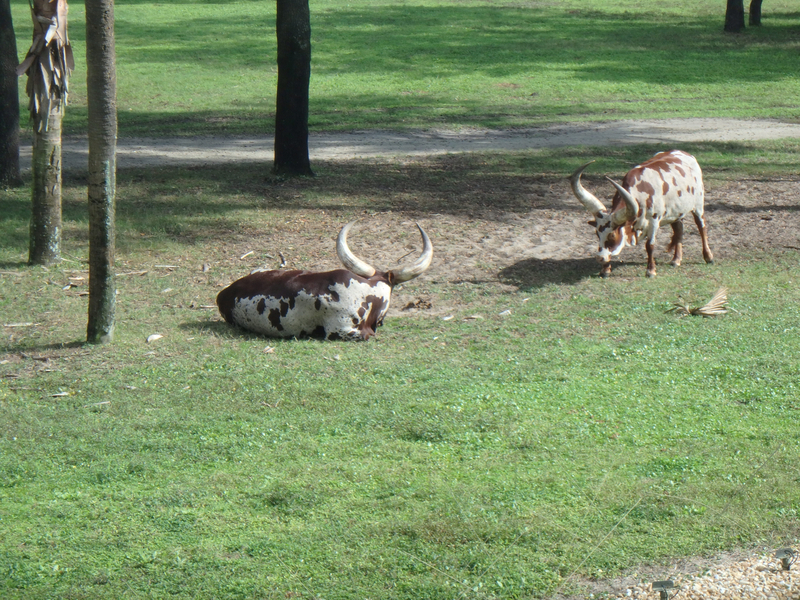 Of course, the best part of the Villa is the balcony and being able to see various animals throughout the day. 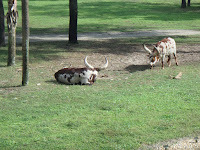 It really is what makes staying at the Animal Kingdom Villas so enjoyable. Otherwise, it's kind of an undesirable resort in that other resorts are closer to the parks (our favorite being the Boardwalk and other ones on the lake with Hollywood Studios and Epcot). Also, now that we've stayed at both Kidani and Jambo, we'd definitely prefer to be at Jambo (and not just because we had Club Level there that time). 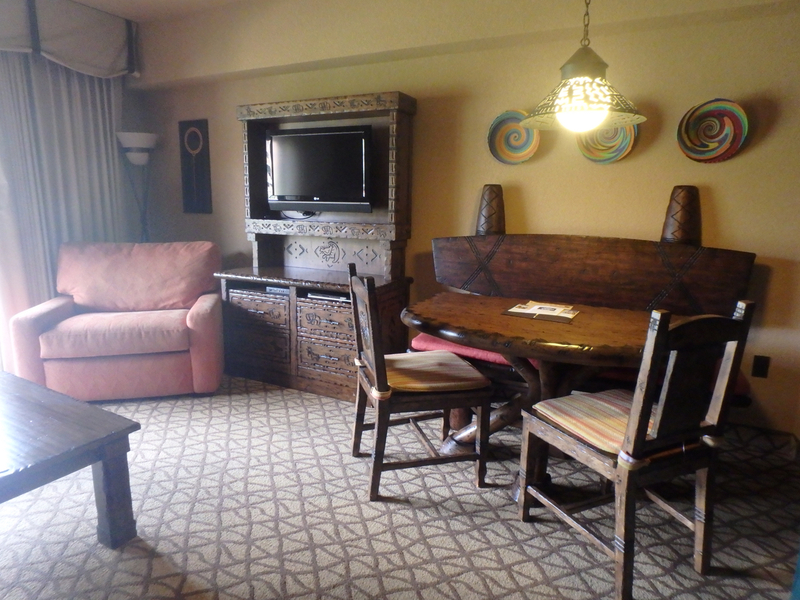 Main thing I didn't like about this stay was that we were at Kidani Village and the quick service restaurant is over at Jambo House, which really isn't that far away but just enough to be mostly inconvenient. It wasn't that big a deal this trip because we did end up spending a lot of time in the parks and at least for breakfast they had some hot sandwiches and oatmeal in the little store at Kidani. 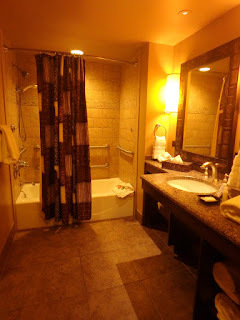 However, definitely makes me not consider this as a place to stay in planning future trips when it's just us because we've often relied on the quick service places at the resorts for meals, especially dinner. 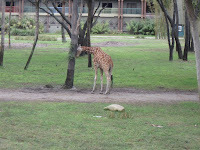 Walt Disney World: Hollywood Studios - Fantasmic!